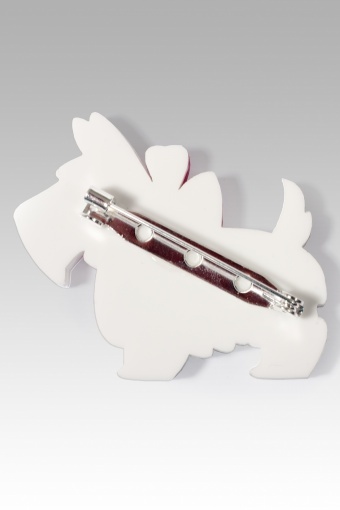 Handmade Scottie Dog brooch white by PUNKY PINS a must have for all the doglovers. 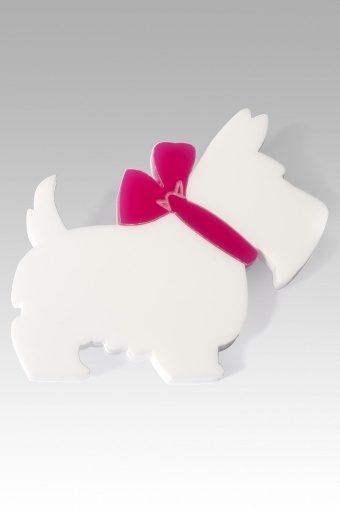 Laser cut acrylic Scottie dog in white with cute pink bow, the pin is made from silverplated metal (nickel tested). Also available in black.